Editorial0 has contributed a set of article-replies to some of Sean K. Reynolds rants about third edition design decisions. I’ll be putting those up, along with a few comments and responses, since those decisions have heavily influenced a lot of game designs since – whether to copy them or to get as far away from them as possible. Sean K. Reynolds will always remain a very important figure in gaming – even if he never writes another word or makes another game. 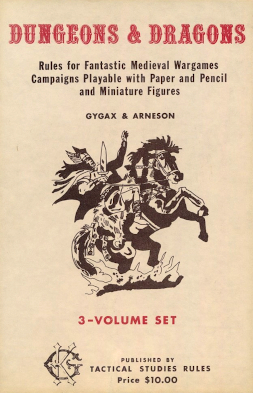 He was heavily involved in several of the most successful Dungeons and Dragons 3rd edition books, and thereby ushered in the Bronze Age of role-playing games. The Bronze Age (where Gold was the development of DnD and other old-school games and Silver was the mid-80’s to early-90’s flowering of more varied fare) saw a much more mass-market approach. Gaming became pretty common, helped by the fact that pretty much everyone was playing computer games. Sean K. Reynolds was instrumental in developing 3rd edition into that mass-market product. He further helped develop a lot of the crunchier bits, including many classes and prestige classes that are now considered standard basics. Despite that, I can’t entirely agree with some of his decisions. Different gamers have different needs and assumptions, while his rants (of course) reflect his personal views. Instead, we’ll look at the decisions he feels are both important and controversial – as indicated by his choices on what to rant about. You can find his rants over HERE. This particular rant is a response to requests to bring back demihuman level limits – and explains why he feels that this would be a bad idea and why discarding them in third edition was the best decision. In this case, I agree with him. They were a bad idea to begin with. We’re going to explore the idea, why AD&D had it, and why they probably shouldn’t have put it in. Originally*, there were no level limits. Elves and Dwarves and Halflings all had their own classes. However, as the game developed and classes become completely separated from race, that changed considerably. A situation developed where all these other races got special bonuses right from the start, but humans eventually could out-level them. This only occurred at very high levels of play in very long games, of course. This was, in a way, “balanced.” The humans got potentially rewarded for playing without bonuses. But that doesn’t mean it was a very good way to do it. For starters, there never was a clear idea as to why the demi-humans suddenly stopped leveling. Why did species which ranged from nigh-immortal Elves to Hobbit-knockoffs simply stop getting better? The game was pretty silent on this, except to admit that if they could level up all the elf NPC’s would be very high level characters. It was a pure mechanical “fix” without a whole lot of logic. Finally, this was a poor attempt at balance. The Elves and Dwarves and all mostly got a suite of relatively useless minor abilities. The entire package together was “occasionally comes in handy.” The entire array would be worth perhaps one character level, ever. For that matter, it could be argued that they’re a bad idea because they unbalance high-level encounters. (Mr Reynold’s didn’t make this argument). That’s more or less irrelevant though, since – presumably – the players knew what they were getting into when they decided to play a demihuman in the first place. Besides, in the old days, there simply weren’t a lot of high-level encounters in DnD. The game had level limits high enough that they didn’t matter to most players. And that’s the point: demihuman level limits are not, in theory, a bad idea. They do solve the problem of avoiding all the world’s older elves being level 60. But it was a rules hack which didn’t meet the needs of gamers. If it were designed to be a part of the game from the beginning, it wouldn’t have caused such irritation. For a counterpoint to this article, look HERE. I should have pointed out that I meant the VERY earliest books. I don’t have them right now, but the very first books, I believe, only featured a few levels for anyone. And when they brought out 2nd edition, level limits were high enough that it hardly mattered. Few game lasted long enough for people to get all the way to the teen-levels, since that could take years of regular gaming.